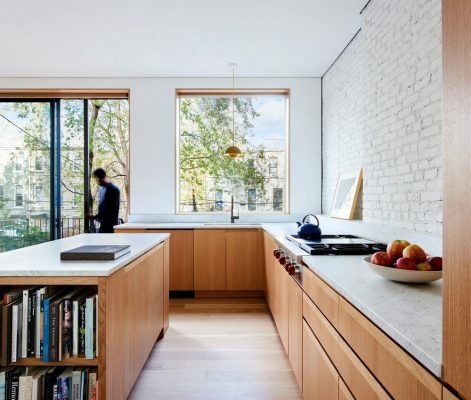 New York based architecture office Light and Air (L/AND/A) recently completed a gut renovation of an existing 1880s Brooklyn row house. 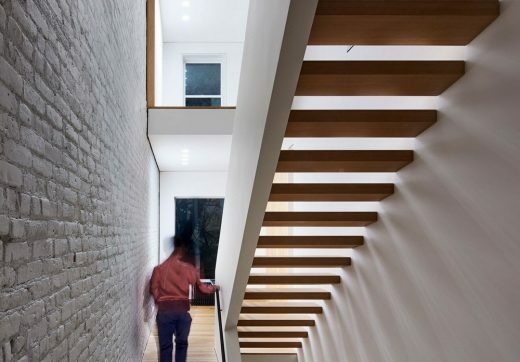 The Switchback House is a new prototype for contemporary urban living that inverts and opens up the traditional row house by replacing a stacked stair with a switchback stair and inserting a dramatic skylight atop the new vertical stair volume. 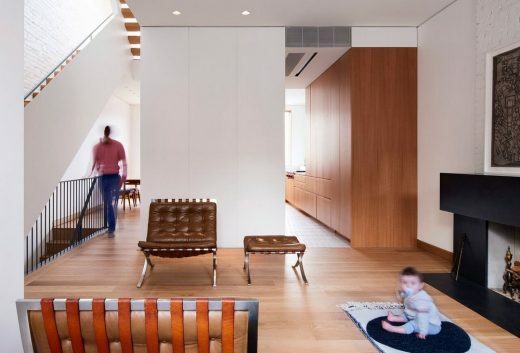 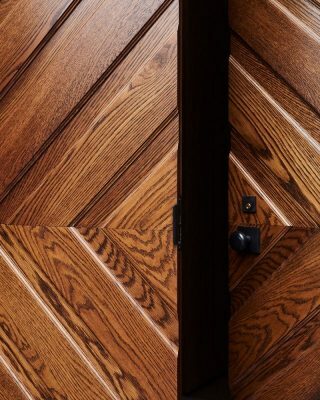 While townhouses historically tend to be dark, narrow and divided spaces, with each floor visually disconnected, L/AND/A’s subtle but strategic transformation prioritizes dynamic visual connections both between floors and from the inside out. 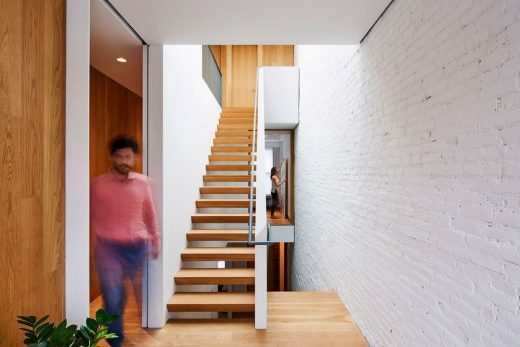 The effect is a light, open, and connected experience inside a traditional row house. 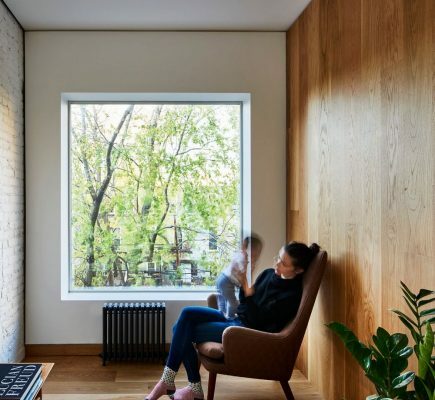 The existing house in the middle of a brownstone block in Bedford Stuyvesant was rundown and dilapidated, with much of the historic interior detailing removed or destroyed. 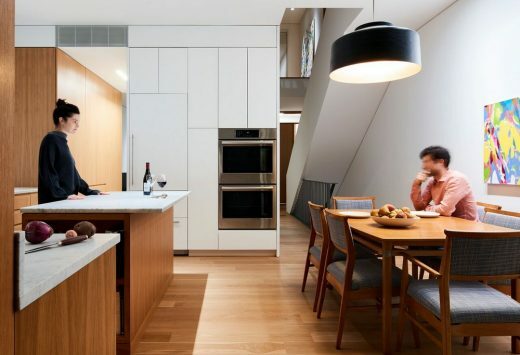 The original layout had been reworked over the years into a rooming house with multiple small apartments, eroding the original grandeur of the space. Neufeld’s clever addition of a fourteen by six foot skylight, oriented due North / South along the building’s length, provides natural daylight throughout, illuminating each level, and eliminating the need for artificial lighting during the day. 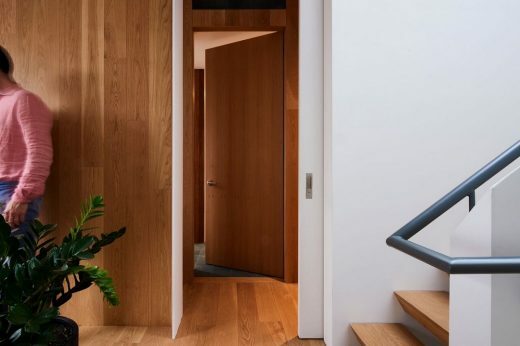 The efficiency of the switchback design removes the hallway that typically links stacked stairs, creating an opening that gives adjacent rooms access to the light filtering down from above. 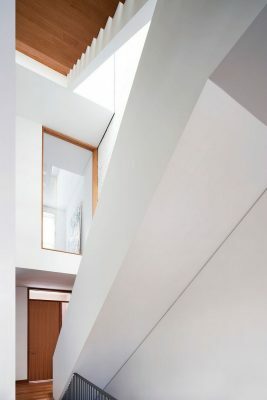 Constructing the switchback stair along with the large skylight required significant structural changes. 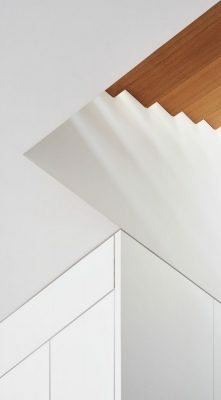 Because of the stair’s increased width, a large section of the existing structure had to be removed from the floor diaphragm. 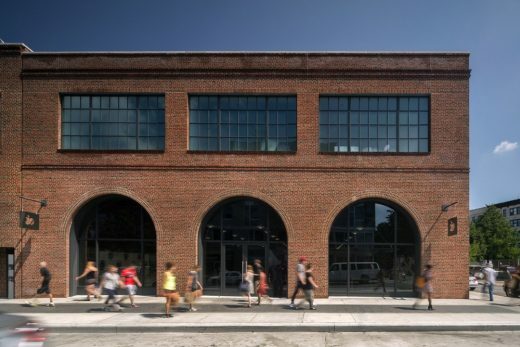 In order to achieve this, three wide flange steel beams were inserted at each level, reinforcing the existing one hundred and forty year old joists and effectively doubling the original opening. 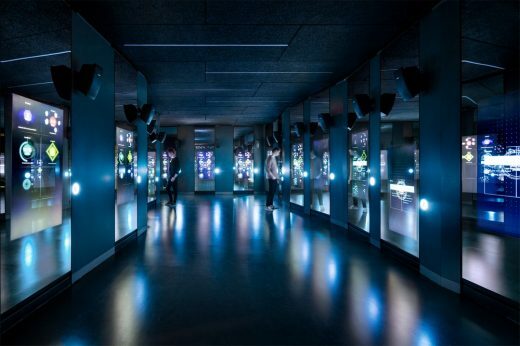 The result is a thirty two foot high space visually linking all three floors. 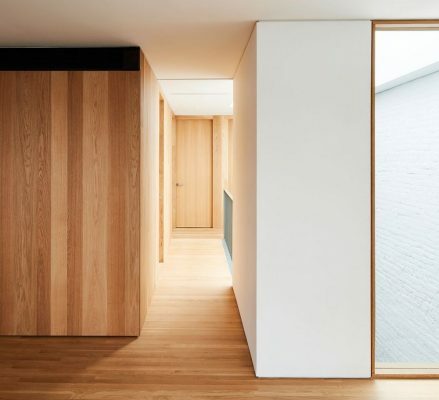 Inverts the traditional row house typology to employ a new spatial layout that prioritizes dynamic visual connections, both between inhabitants from floor to floor, and from interior to exterior spaces. 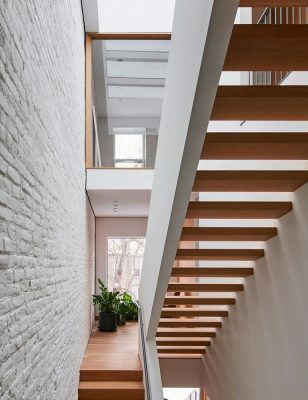 The new house is 2,700 square feet and 3 stories high, measuring twenty feet wide by forty five feet long and features a “switchback staircase” that eliminates the typical hallway that, in the past, linked stacked stairs, and instead replaces it with a void, permitting adjacent rooms visual access to the light filtering down from above Incorporates a dramatic 14 by 6 foot skylight that provides natural daylight throughout, illuminating each level, and eliminating the need for artificial lighting during the day. 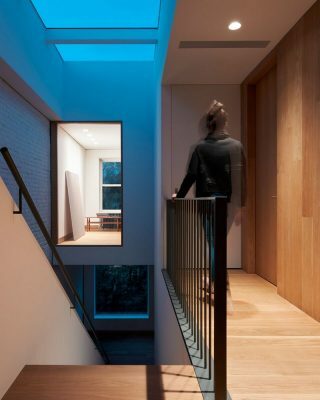 LIGHT AND AIR (L/AND/A) is a New York based architecture and design studio led by architect and artist Shane Neufeld. 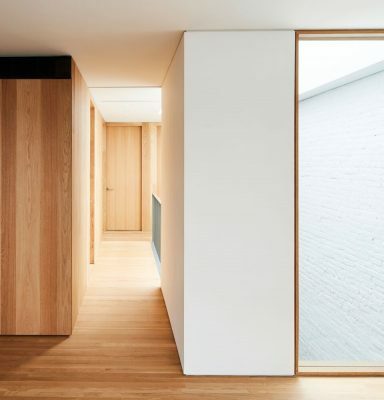 Established in 2017, L/AND/A takes a primal approach to architecture: reducing design to its essential components and seeking clarity within an otherwise stifling and hectic world. 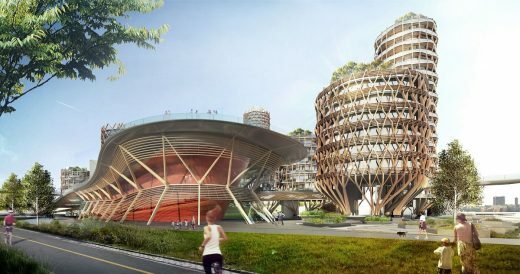 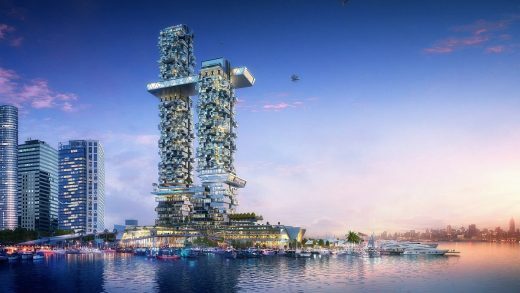 L/AND/A firmly believes that at is core, architecture is most powerful when elemental, and that spatial clarity and specificity have the potential to shape distinct experiences that ultimately enrich our lives reconnecting people to their environments in meaningful and surprising ways. 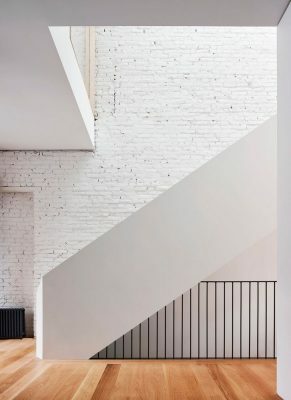 In 2018, L/AND/A completed a contemporary renovation of a historic row hous in Brooklyn, New York. 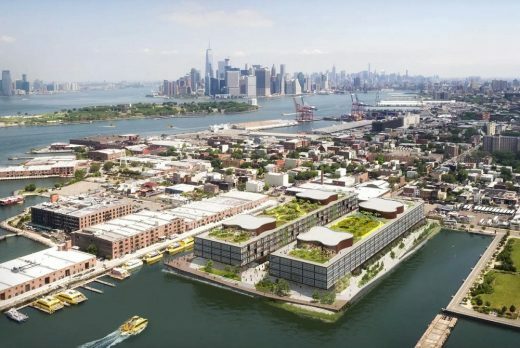 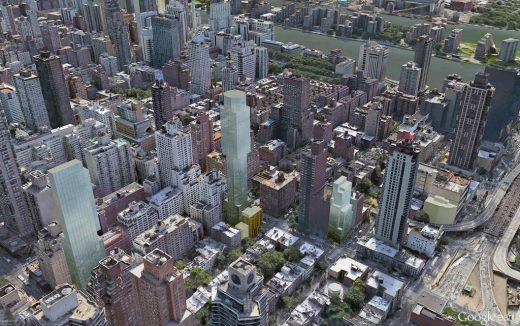 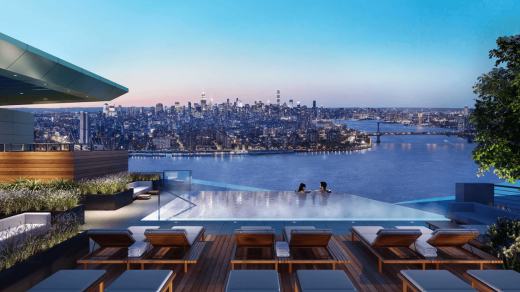 Developer Extell’s City Point tower will have the highest rooftop pool in NYC, 680 feet above Downtown Brooklyn.